Uterus tumour. 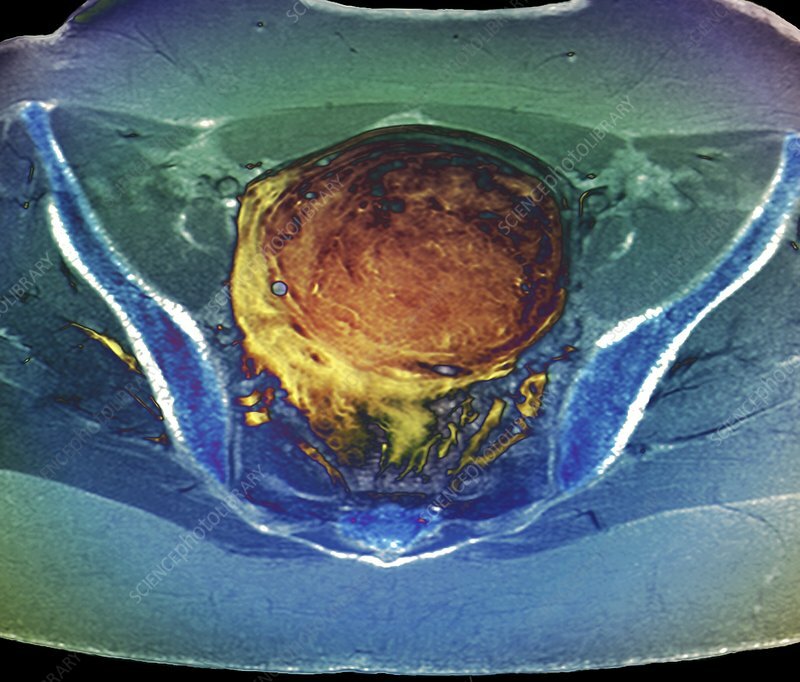 Coloured X-ray of a 36-year-old woman with a large fibroid (large, round) in her uterus. A fibroid is a fibrous benign tumour originating from muscular tissue (leimyoma). Most do not require treatment, but some can cause bleeding, pain and other disorders. Large fibroids may need to be surgically removed.